St. Timothy's Anglican Church - Why Church? It is true that the institutional Church is not what she should be. But then, she never is. The important thing is that she is there. For all her faults, without the institution of the Church, you would not be reading this now. Just as Christ is the intersection of God and Man, and man himself is a hybrid of spirit and flesh, so the Church is both physical and spiritual. St. Paul said that "no man ever hated his own flesh" (Eph 5:29), nor should we hate the Church, however much she has stayed from the truth. Church makes it easy for two or three believers to come together in Christ's name. And that's important. Yes, Christ died to save the individual, but he also died to save the Church (Eph 5:25-27) It's important that we come together for communion - for many reasons. But the most important reason is because there is communion between the Father and the Son and the Holy Spirit. More practically, no matter how self-reliant, no matter how gifted, no matter how spiritual - there is always something that I very much need from communion with other believers. And that's probably because Christ deliberately withholds it from me by placing it in the care of someone else. Remember how the great St. Paul was forced onward to an otherwise nameless man who lived on Straight Street? 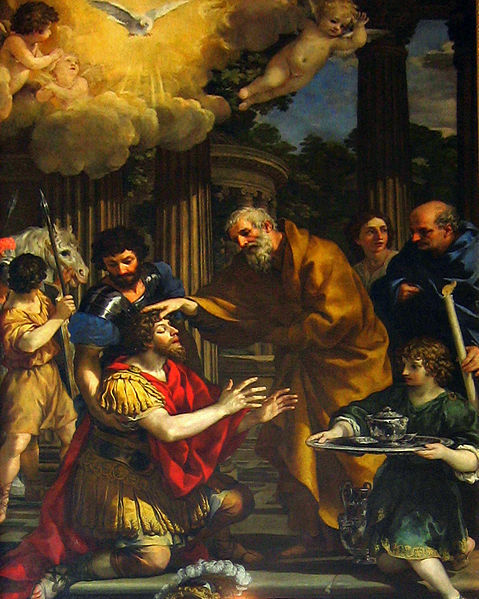 It was there he was to rendezvous with Ananias, who gave him his sight back and empowered him, by the laying on of hands, to become the greatest evangelical force the world has ever known. The reason that you should come to church is that your Ananias worships there. And you are Ananias to someone else. We aren't making this up. The New Testament materials claim that this is the Lord's modus operandi. 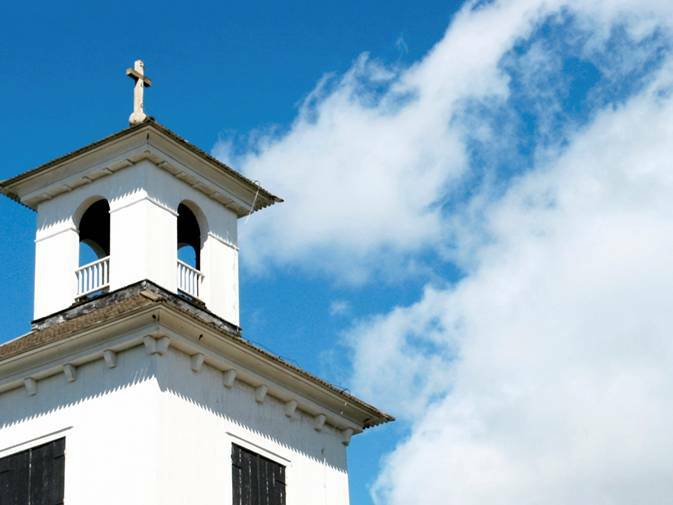 Why should I go to an Anglican Church? At first it would seem counter-intuitive to go to a church which is in the process of disintegrating in many parts of the world. For surely it is no secret that Anglicanism has become a scandal in recent decades. Many leaders of American Anglicanism, for example, have formally repudiated the faith of the ancient creeds and the morality of the New Testament. And yet the very existence of the Orthodox Anglican Church and many other worthy, continuing Anglican movements in America is proof that Anglicanism is in the process of rebirth. And that's a very good thing. 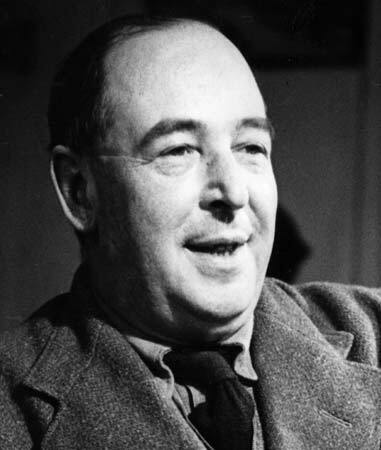 C. S. Lewis, who wrote The Narnian Chronicles, was a member of the Anglican Church. As soon as anything becomes institutionalized, it becomes subject to decay and death. But it also then shares in the same process of regeneration as any other physical process. A great tree falls to the ground in the forest, and yet many seeds from that one tree immediately begin to grow, no longer shaded from the sun. Anglicanism has always been a very strong and stable refuge from the sometimes authoritarian and doctrinally inventive Roman Catholic Church on the one side - and the many unstable Protestant denominations on the other. Anglicanism has a tremendous potential to truly connect the soul with God. We commend it to you because it possesses catholic, (that is, universal) simple, concise, meaningful and beautifully common prayers. It possesses a beautiful and fully participative catholic liturgy. It’s music is very broad and very deep. Anglicanism is intellectually challenging and emotionally engaging, enriching the soul. The form and freedom of Anglicanism has the potential to integrate all personality types and varied spiritual gifts, male and female, young and old, into a truly corporate entity. In Anglicanism there is a tremendous sense of communion and identity with the universal church, integrating the best of Protestantism with the best of Roman Catholicism. And besides all this, there is constant exposure to substantial Scriptural content through the lectionary and the various prayers and services of the Book of Common Prayer, through sermons, and through the hymnody and service music of the hymnal. If you are a Christian in need of a church home, we want you to consider an Anglican one. We want you to consider St. Timothy's. So whether we are talking about the Davidic monarchy, which seemed to be founded upon the corporate disobedience of Israel (because they wanted a king like the surrounding cultures) or we are talking about the apostolic succession, which is founded upon historical accident – if these forms are not respected, we will receive precisely what we asked for – formlessness. There will be freedom. But it will be a freedom from form. As if our skeletons were somehow suddenly subtracted from us, we fall to the ground, like Larson's boneless chicken ranch – unable to move – unable to communicate with each other. We may have our spirituality, but it will remain in a puddle, incapable of locomotion. A jelly fish can move, but only in a benign environment of water. But if the water be dried up, or in our case, the “foundations be destroyed,” how can we move? In a Christian milieu, it is popular and possible to decry the unspirituality of bricks and mortar and corrupt ecclesiastical establishments, but in a post-Christian culture, it becomes evident that these forms, however corrupt they might have been – or susceptible to corruption they will continue to be, were necessary to create anything of value. Procreation of biological offspring is possible in a tyrannous technological culture, but children - and the very sustainability of family and culture into the future are only possible by means of the prosaic vows of marriage. Thus we take vows and make promises of obedience to an ancient ecclesiastical institution because our spirituality will eventually be a formless puddle of charismatic chaos if we do not. Only a firm and unequivocal commitment to the physical form of the Church can prevent this. Tradition and the Church are not spirituality; they are a level and stable place upon which a true and lasting spirituality might be built.